The IDF’s first-ever public strategy paper highlights the complex challenges posed by substate actors in a fast-transforming landscape, and it could serve as a basis for U.S.-Israeli security dialogue on the Iran nuclear deal. On August 13, the Israel Defense Forces published a thirty-three-page document titled “IDF Strategy.” This is a shorter, unclassified version of a comprehensive document designed as the conceptual framework for the new IDF five-year plan, “Gideon,” which has yet to be approved by the government. 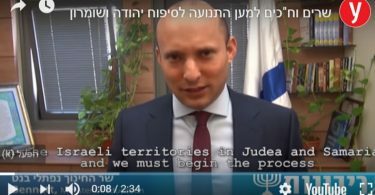 This document, bearing the imprint of new chief of staff Lt. Gen. Gadi Eisenkot, is unique in Israel’s history because it not only defines and bases itself on elements of a national security doctrine, but was also released to the public. Israel has not had a formal, written national security doctrine since the time of its first prime minister, David Ben-Gurion. The last attempt at developing one in 2004-2007 (the Meridor Comission), was completed but not put to government approval; the “IDF Strategy” draws on that effort. The unprecedented publication may be motivated by a desire to shape the lively public debate on prioritizing national resources between security and socioeconomic needs — specifically, to shift it from a technical discussion of budgetary inputs to a strategic discussion on required security outputs. 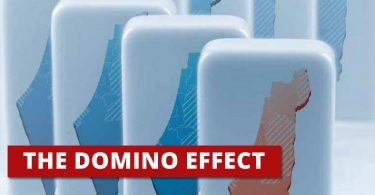 The new document explores the fundamental changes in Israel’s strategic and operational environment, which has seen rapid, violent upheavals and the collapse or weakening of state frameworks. The high degree of strategic and budgetary uncertainty has left the IDF without a formal government-approved multiyear plan since 2011. Extreme, violent, and well-armed substate actors have replaced neighboring state armies as Israel’s main military threat; these include Hezbollah in Lebanon/Syria and Hamas in Gaza (nonstate jihadist elements are also accumulating on Israel’s borders, but for now they do not pose the same level of threat). In the past fifteen years alone, substate actors in the Lebanese and Palestinian theaters have forced Israel into five rounds of major armed conflict. These actors can now target Israel’s civilian population centers and vital strategic facilities with significant firepower, potentially affecting the country’s societal resilience and ability to conduct a continuous war effort. This threat is constantly growing in volume, pace, range, accuracy, payload, and survivability. In addition, sophisticated military capabilities could undermine the IDF’s offensive capacity in the ground, air, and sea theaters. The threat also includes extensive subterranean activities; during last year’s Operation Protective Edge in Gaza, the IDF exposed an extensive network of cross-border tunnels dug by Hamas for offensive purposes. These substate actors are operating from civilian areas in a bid to deny Israel’s freedom of action or undercut the legitimacy of its war effort. This kind of warfare therefore encompasses nonmilitary dimensions such as legal, humanitarian, and media issues. Israel’s political standing in the West has eroded over the years, complicating efforts to gain increasingly needed international legitimacy for fighting armed elements in civilian areas. Clearly, the main cause of this erosion is the unresolved Israeli-Palestinian conflict, though the document does not explicitly make this point. As the domestic costs of national security grow, so are the pressures to invest more in the economy and society. Interestingly, the document does not mention the Iranian nuclear threat directly. This has led some commentators to conclude that unlike Israel’s government, the IDF does not attach the same severity to this threat following the P5+1 nuclear agreement. Yet Iran does in fact play an important part of the strategy underlying the document. First, while the IDF does not expect the nuclear threat to come to fruition during the next five-year plan’s timeframe, it does call for enhancing deterrence and maintaining preparedness for potential preemptive strikes against “countries with no joint border [with Israel].” Second, the IDF believes that substate actors “supported by Iran” do pose an imminent threat. Privately, its leadership is troubled by the prospect of these actors enjoying Iranian resources unfrozen by the nuclear deal. The IDF identifies three basic situations for the use of force — Routine, Emergency, and (full-scale) War — distinguishable from one another by the scope of military and national resources involved and defined by different logics. Although armed conflicts with substate actors usually fall under “Emergency,” the IDF continues to focus its force buildup mostly on “War,” but with added versatility for Emergency. In the latter situation, the IDF could be directed to achieve “military decision” (see below), especially by destroying significant enemy capabilities, or to conduct a limited campaign focusing on strategic targets. Either mission would be designed to eliminate the enemy’s will to fight and achieve long-term deterrence. In Gaza, for example, the IDF would seemingly prefer to apply this concept by using a mixture of debilitating firepower and limited ground operations rather than conquering the territory and fully dismantling Hamas’s military capabilities. 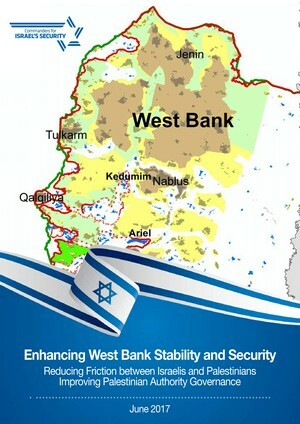 The IDF strategy document assumes a protracted series of armed conflicts with substate actors and strives to force long lulls by achieving and maintaining credible deterrence. It also envisions building “cumulative” deterrence through a series of unequivocal military victories. Yet the new strategic and operational environment has compelled the IDF to redefine deterrence and the two other traditional pillars of its military strategy (early warning and military decision), and to add a fourth pillar: defense. Deterrence is now defined in terms relative to the nature and diversity of the threat, unlike its near-binary role in preventing full-scale wars. It requires constant boosting, for which purpose the IDF developed the concept of a “campaign between wars” — namely, clandestine, covert, and overt activities in Routine situations in order to thwart emerging enemy threats, especially the acquisition of specific arms. Early warning is now an element of intelligence superiority, which is to be achieved before and during any armed conflict. The term military decision also assumes a more relative character, corresponding to long-term deterrence, while consistent with the traditional Israeli goal of fighting short conflicts (it is often joined by the amorphous term “victory,” which the document defines as “achieving the political goals set for the campaign, leading to a post-bellum improved security situation”). The defense pillar has been added to address the significant threat of enemy fire on Israel’s heartland. The most important element of this pillar is the ongoing development of a multilayered active defense system against rockets and missiles. If compelled to prioritize what it will defend first in a given conflict (e.g., when facing Hezbollah’s enormous rocket arsenal), the IDF would focus on preventing disruption of the war effort and protecting critical national infrastructure before protecting civilian centers. The document also takes potential enemy conquest of Israeli territory into consideration, including possible evacuation of civilians (a departure from the Israeli ethos), yet it calls for denying the enemy any territorial gain by the end of the confrontation. Notwithstanding the growing weight of defense, the IDF continues to prioritize offensive action in both the buildup and employment of its forces. In this context, it strives to rebalance the relationship between firepower and ground maneuver, which has in recent years tilted increasingly toward the former with an overemphasis on achieving significant burnout of enemy capabilities over the course of a conflict. Under the new concept, the two have to reinforce each other, thereby creating synergic and systemic effects. The IDF document sets the goal of preparing tens of thousands of targets in Lebanon and Syria and thousands in Gaza ahead of a conflict, and striking thousands of targets daily during a conflict, including targets of opportunity. To enable this, the IDF is revolutionizing connectivity within and between service branches, combat units, and intelligence assets. Ground maneuvers will be launched from the outset of a conflict (unlike in the 2006 Lebanon war), including a new emphasis on surprise operations aimed at centers of gravity in the enemy’s operational or strategic rear, employing significant ground or special forces led by new command structures. The overall offensive concept is based on maintaining Israel’s qualitative edge as well as its air, naval, and intelligence superiority, and on ensuring critical mass of forces and capabilities. Finally, the document breaks new ground in devoting attention to the nonkinetic aspects of armed conflict, adopting a multidisciplinary approach toward it. It regards cyberspace as another front, for which a Cyber Arm is being established. 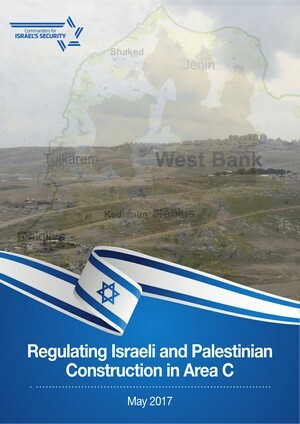 It highlights the need to prepare for the war of perceptions and to thoroughly address legal, humanitarian, and information dimensions; that is, Israel must strive to create and maintain political legitimacy for the use of force in order to enhance the IDF’s freedom of action in the current international environment. The “IDF Strategy” is an important contribution to Israel’s strategic thinking and public discourse on national security. It deserves to be solidified by a governmental national security strategy. The bottom line is that Israel faces extremely complex challenges in a fast-transforming landscape, posing acute strategic, operational, and domestic dilemmas. These challenges are epitomized by Iranian-supported Hezbollah, with its arsenal of over 100,000 rockets and its capacity to fire over 1,500 daily for weeks. As Israel prepares for the consequences of a nuclear deal that could compound existing uncertainties and threats from Iran’s proxies, the IDF document should provide a sound basis for bilateral U.S.-Israel strategic dialogue on major Israeli security concerns for the coming years. Brig. Gen. Michael Herzog, IDF (Ret. ), is The Washington Institute’s Milton Fine International Fellow. Previously, he served as head of the IDF’s Strategic Planning Division and chief of staff to Israel’s defense minister, in which capacity he was involved in developing IDF strategy and updating Israel’s national security doctrine.